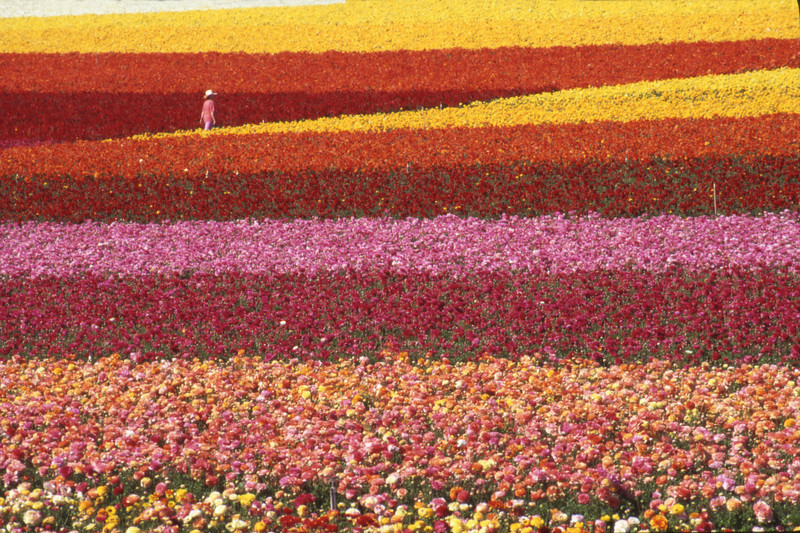 Colorful flower fields in Carlsbad, close to San Diego, California. Nice shot of home sweet home....just a hillside over. Well composed, like the single person walking through the field. The day was when we walked through them free. Now they are fenced off, and you have to pay for admission!